We are delighted to announce that the Phoenix cinema in Leicester will be showing ‘Hector’, on the day of its nationwide release, as a donation screening in aid of Action Homeless. 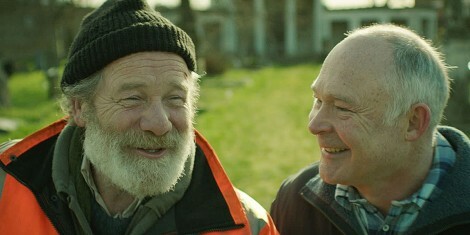 Peter Mullan (Tyrannosaur) stars as Hector, an affable homeless man who sets out on his annual pilgrimage from Glasgow to stay at a temporary Christmas shelter in London. As he hitch-hikes the long journey south, Hector is confronted by reminders of a tragedy in his past and becomes determined to reconnect with the family and siblings he hasn’t seen for years. With a stunning central performance from Mullan, Hector is a warm and uplifting tale of compassion, hope, and the power of community. The donation screening will take place at the Phoenix Cinema, on Friday 11th December at 7.30pm. Tickets will be given out in exchange for the donation of an item from our Christmas Wish List. Check out the Phoenix website for more information.